Apologies for the late notice, but it's only just occurred to me that some of you bike trials riders might be interested in this. 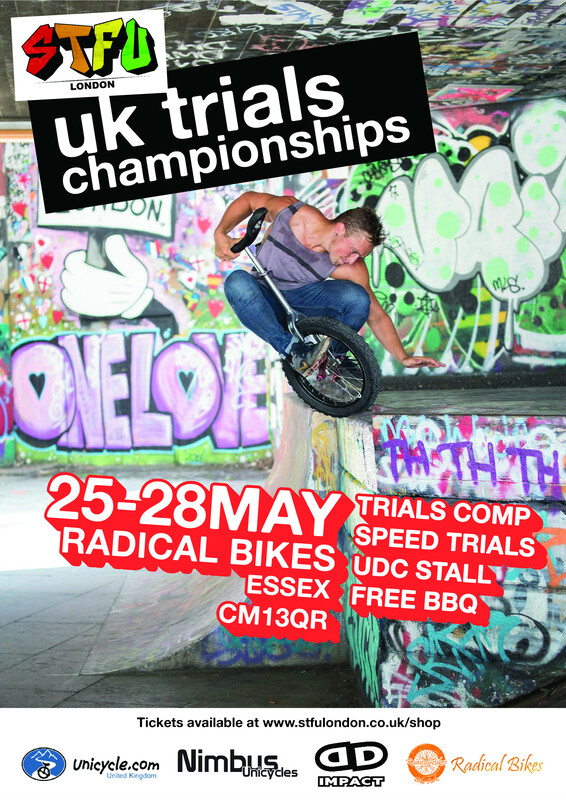 We're holding the UK Unicycle Trials Championships over the late May bank holiday weekend. It'll be at Radical Bikes and everyone is welcome. You don't even need to be able to ride a unicycle to attend. We'll have plenty of learner unicycles for you to have a go on. We'll also have the current trials world champion, Mark Fabian, giving workshops.